Cameron is the Digital Curation Coordinator for the General Library System. 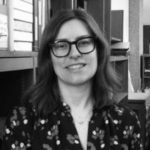 Her role focuses on helping manage UW’s open access institutional repository, MINDS@UW, and helping support data curation services across campus, including working with RDS. 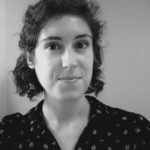 Her interests include learning tools and languages for working with data and building reproducible workflows, data management education, data information literacy, digital scholarship, digital humanities, and openness. Learn more about Cameron and her work with RDS. Trisha is the Data, Network, and Translational Research Librarian. Her interests include data sharing, open access for datasets and publications, data management best practices, data visualization and data management policy. Trisha was formerly an eScience Fellow at Syracuse University and a formulations chemist for Bausch & Lomb. Learn more about Trisha and her work with RDS. Allan is the Information Architecture Librarian at the Ebling Library for the Health Sciences. 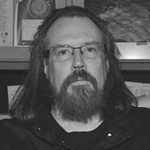 His interests include web development, resource indexing and discovery, and games and simulation in healthcare. He is particularly interested in ways to make research data more findable, sharable, and usable. Michael is the Infrastructure Solutions Architect for the Division of Information Technology (DoIT). 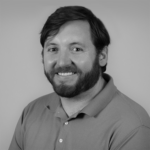 His focus is campus outreach and engagement involving IT infrastructure services (data centers, computing, storage, backup and archive, networking, and databases). Michael is a graduate of the UW School of Business and started working at DoIT as a student employee in 2002. Jan is the Research Cyberinfrastructure Liaison in the Office of the CIO and a Research Technologies Consultant at DoIT. 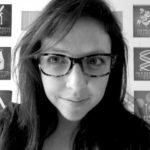 Her interests include methods to sustain the lifespan of research data and tools that help integrate data management with research workflows. Jan is a biochemist by training with several years of research experience. She drifted into the IT field a while back and her work now centers on IT services and infrastructure to enable research. Cid is an instructional technology program manager and consultant in DoIT Academic Technology. Her areas of interests include digital humanities, information design, and data visualization, particularly geospatial data and mapping, and in the applicability of data and visualization tools in support of students learning research skills. Learn more about Cid and her work with RDS. Dr. Radler’s research interests explore how human beings process information, make decisions, and behave in social, political, and marketing contexts. For the last 20 years he has explored, advocated, and implemented the use of information technologies to improve research processes and data. Dr. Radler is currently the Data Management Director for the MIDUS study, a complex longitudinal study that uses an XML metadata standard called the Data Documentation Initiative to develop web-based documentation. 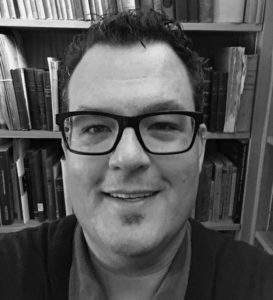 Todd is a subject specialist for Scandinavian Humanities, Classics, Jewish and South Asian Studies, as well as the ADA liaison for Faculty, Staff, and Student Library users. In 2015, he earned his PhD in Scandinavian Philology, performing a study on terminology for impairment and disability in the Sagas and Þættir of Icelanders. In his dissertation research he performed data mining and statistical analysis to create a better understanding for these terms. He plans to continue such lines of inquiry in Digital Humanities. He is also interested in accessibility and Digital Humanities. Tobin is the Science and Engineering Data and Information Specialist at Steenbock Memorial Library. She trained as a research scientist in molecular parasitology, earning a PhD from UW-Madison in 2011 and completing postdoctoral training at Loyola University Chicago. Tobin has been doing research support in academic libraries since 2014, specializing in research data management, documentation and workflows, including automating data cleaning and analysis using the R programming language. Heather is the Science and Engineering Librarian at Steenbock Memorial Library. Clare is the Digital Curation Assistant for the General Library System. 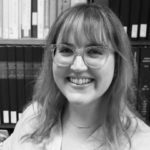 Her role at RDS focuses on keeping the website up-to-date, managing the blog and Twitter content, helping to manage MINDS@UW, and assisting with the support of various data curation services on campus. She is currently pursuing her M.A. in Library and Information Studies, and is interested in data management, digital information literacy, and digital humanities. Clare earned her B.A. in English and French, with a certificate in European Studies, from UW-Madison in 2015.